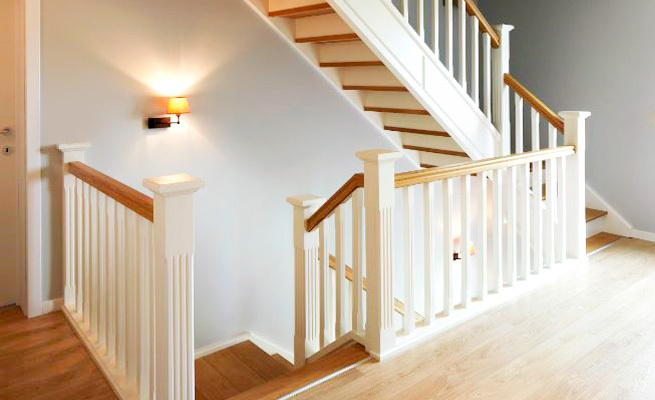 In addition to utilizing Staircon for production with CNC machine, Trappenmakerjij Eric Lauwers had another important requirement of the software; the ability to visualize the staircase in 3D for sales purposes. 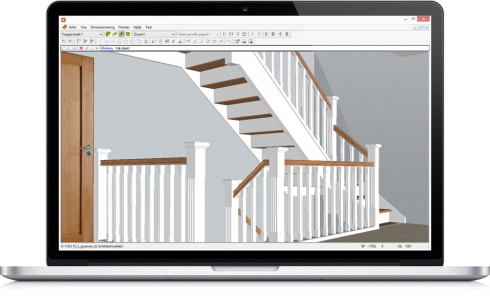 The 3D view and the ability to export 3D format made Staircon the perfect tool for them. – During the construction and sales process I always show our customers staircase in 3D. What you see is what you get. To convince our customers of this we show existing realizations with the photo and the 3D from Staircon. The similarity is amazing! A good picture says more than words, says Bart Remijsen, responsible Design & Production at Trappenmakerjij Eric Lauwers, Belgium.Trappenmakerjij Eric Lauwers focuses on high quality and customised craftsmanship. They emphasises that customers can bring their own ideas for design and realize them in collaboration with the professional stair constructors. While working with the customers with their stair project, Trappenmakerjij Eric Lauwers has found that the possibility to visualize the staircase to the customers in 3D is a great sales advantage.